The ENH710EXT can be configured as bridge or AP. In AP mode, it provides up to eight (8) configurable 5 GHz SSIDs– particularly useful in areas where there may be a preponderance of competing and overlapping 2.4 GHz signals. Features include secure guest network and band steering. 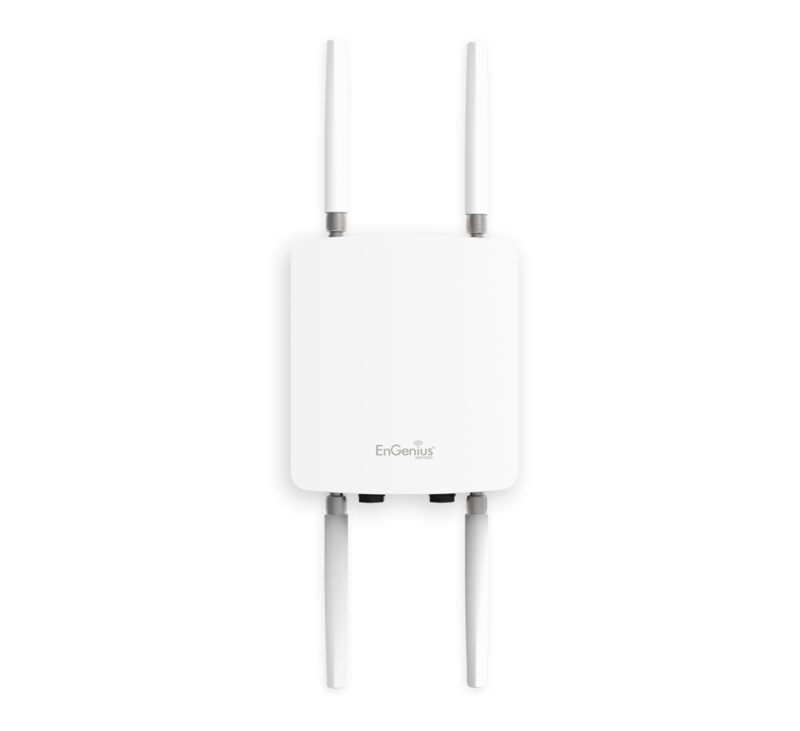 ENH1350EXT is a Wave 2 Outdoor 11ac, 2x2, MU-MIMO, Dual-Band Wireless AC1300 Access Point. Reaching speeds to 867 Mbps on 5 GHz and to 400 Mbps on the 2.4 GHz frequency band, this feature-rich AP leverages advanced Wi-Fi and Beamforming antenna technology, maximizing performance and reliability while greatly increasing outdoor network user capacities. The AP is designed to operate in harsh environmental conditions and includes an IP67-rated waterproof and dustproof casing to protect it from the elements.